Certificates and medals were awarded by Worcestershire Country Council to pupils who had achieved unbroken attendance during a school year. 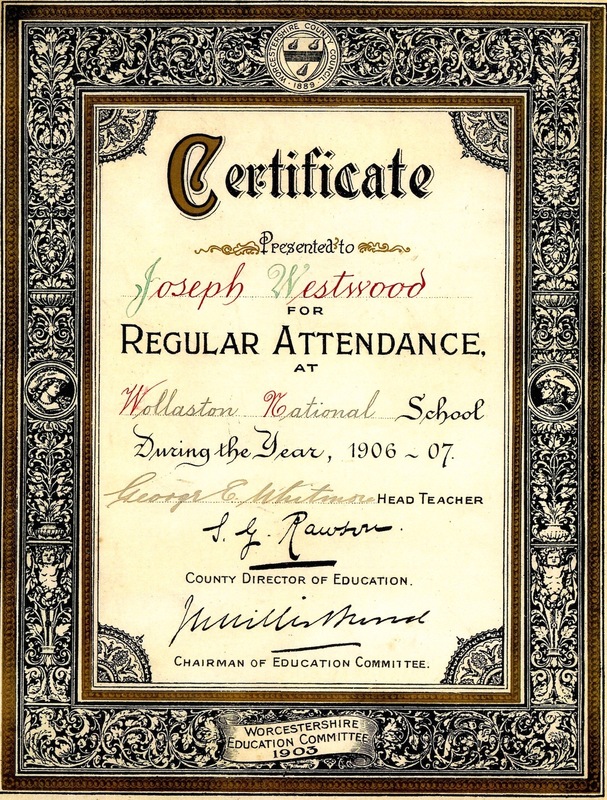 This one was awarded to Joseph Westwod who was a pupil in the Boys’ School from 1905 to 1911. It was signed by the Head Teacher George Whitmore, the County Director of Education and the Chairman of the Education Committee. 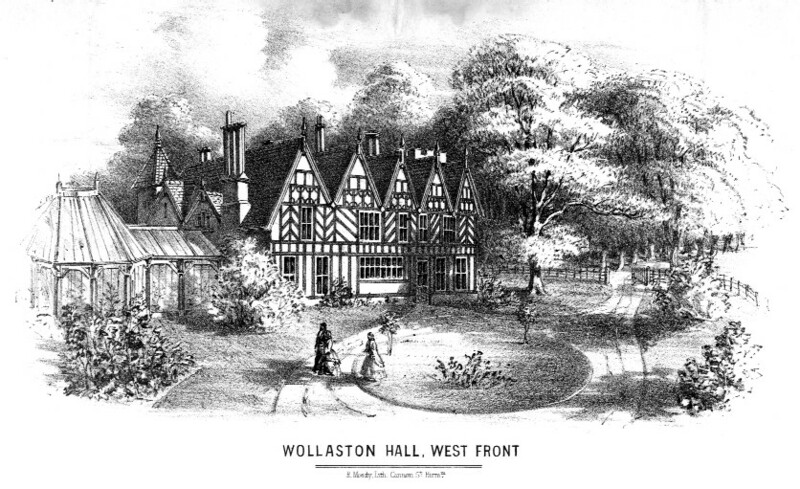 Presentations were often reported in the local newspaper, The County Express, with long lists of names of pupils of all ages receiving awards. Previous: A plan of the new classroom. Next: An Inspector’s report about the Infants’ School.